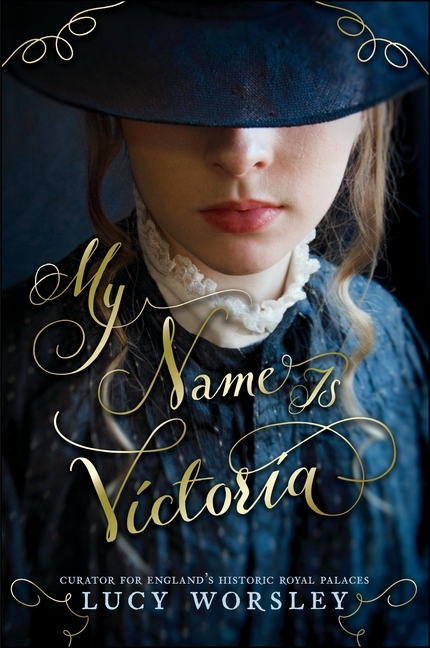 I began reading My Name is Victoria just before my mom entered the hospital in June. As soon as she saw my copy, my mom asked if she could borrow it next. We’d both been watching the Victoria series on PBS, and were excited about a novel written by Lucy Worsley, who you might have seen as the host of several PBS documentaries. And while the book itself is historical fiction, readers can take comfort in the fact that the author is chief curator at Historic Royal Palaces, the charity that looks after the Tower of London, Hampton Court Palace, Kensington Palace and other historic places. In fact, Worsley’s latest nonfiction book, Queen Victoria: Daughter, Wife, Mother, Widow (out now in the UK), is an intimate look at 24 days of Victoria’s life told through diaries, letters and more. If you’ve ever seen any of Worsley’s TV programs, you know how at ease she sounds. My Name is Victoria features that same conversational tone. Initially, the book does seem to skew a little younger, but as Miss V and Victoria age, the book moves squarely into YA.